We sure love to compete in powerlifting at PTS! So the Farm powerlifting club were holding a competition to help people get a qualifying total for the English Championships later in the year so we got a few lifters involved! Faye Jordan had only got off a plane from Sweden the day before after competing at the World Bench Press on Thursday, but still managed to get all her squats, just missed her last bench press and found a new deadlift problem; fake nails make a lockout painful! Nina Cambatta got a squat competition PB, just missed a bench press competition PB and got a deadlift competition PB for a rather good total PB! Nina is a powerlifting badass! Pj Gentle rallied well to get a squat competition PB after missing her first squat, always the most nerve wracking lift in the contest! She just missed a bench press PB but still walked away with a total PB! Ali Wilson did not have a good day but at least he had already qualified for the English nationals last time, which is good because he felt absolutely awful! More (or some) training is needed! Lee Betteridge had his first competition today and found the technical demands and referee’s requirements of the squat a steeping learning curve but still managed to get a lift in. His bench press and deadlift though were solid getting all three lifts in both and walking away with a total qualifying him for both the English and British nationals later this year. A good first contest! Mark Davies just wanted to do enough to qualify for the English nationals which he did with ease and lifts to spare! 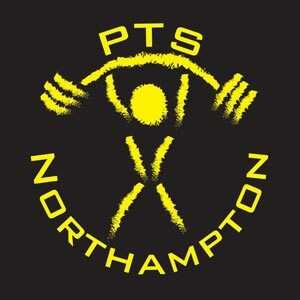 The next powerlifting competition PTS is involved in is a development competition for first timers in Birmingham, we’re taking about 15 new lifters and it’s going to be an exciting day! If you want to get involved in the sport of powerlifting then get in contact with us and we’ll do what we can to help! Here’s the video of the competition, enjoy!